The Zuo Spiral Table makes an eye-catching and beautiful centerpiece for a modern dining room. This table’s clean fluid lines and striking angled steel wire base give it a distinctive sense of bold artistry, while its white color adds a touch of fresh contemporary sophistication. 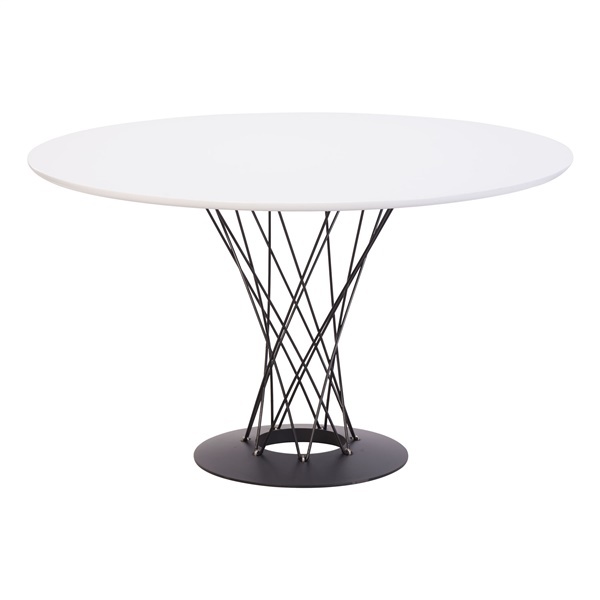 The Spiral Table is fully constructed from steel for a look that’s sleek and built to last. Pair it your favorite modern chairs for a beautiful, eclectic effect.